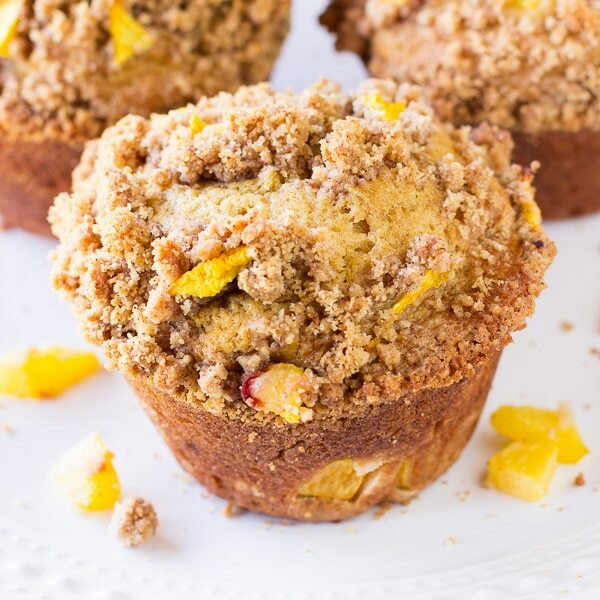 These sweet and tender Peach Crumble Muffins topped with a delicious crunchy and buttery crumble, are one of my favorite muffins. 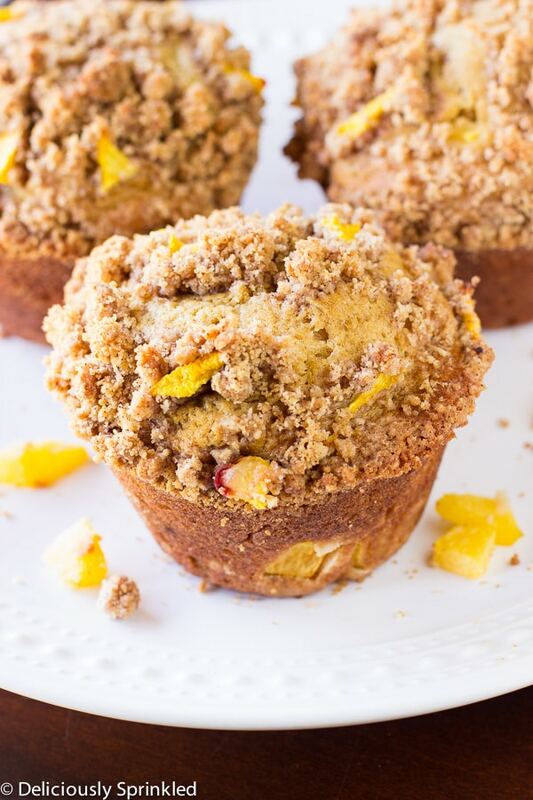 I love making these muffins, especially in the summer when fresh peaches are at their finest but you can also use frozen peaches which means you can enjoy these amazing muffins all year-round. I start out by using my favorite muffin mix base, it never fails me. I added some sweet fresh peaches to my muffin mix and topped each muffin with a generous amount of my favorite crumble topping. 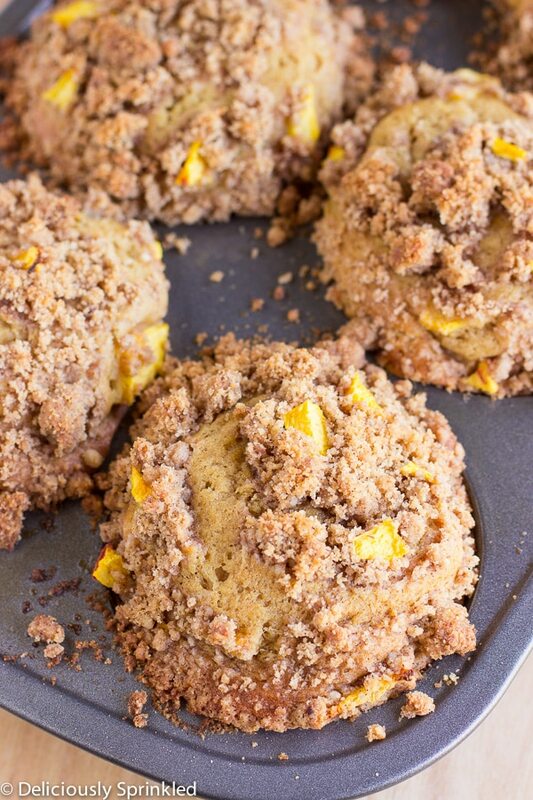 Honestly, the crumble topping brings these peach crumble muffins to a whole new level of awesomeness. I can’t wait for you to make these delicious muffins for you and your family to enjoy this summer season, I know your going to love them as much as I do! ✓ MAKE YOUR OWN BUTTERMILK: I love using buttermilk in my muffin recipes because it makes the muffins super soft and tender, just how everyone loves them. But if you don’t have buttermilk in your fridge, no worries. You can simply make your own homemade buttermilk with only two simple ingredients. All you will need is some milk and lemon juice. I have posted a step-by-step guide on how to make homemade buttermilk here, it’s super simple! 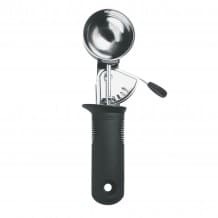 ✓ SCOOPING THE BATTER: I like to use an ice cream scooper to fill the muffin batter into each muffin tin. It makes it super easy and you know that each muffin will be the same size. 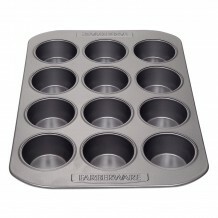 ✓ LETTING THE MUFFINS COOL: After the muffins have baked, don’t let the muffins “cool” in the hot muffin pan. After about 5 minutes take the muffins out of the muffin pan and place them on a wire rack to cool for another 5-10 minutes. Keeping the muffins in the muffin pan too long will lead to dry, overcooked muffins. Preheat oven to 425F degrees. Lightly spray 12 muffin cups with non-stick cooking spray or line with muffin liners. In a medium sized bowl, combine brown sugar, granulated sugar, cinnamon, melted butter, and flour. 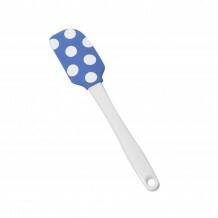 Using a fork, stir until mixture becomes thick and crumbly. Set aside. 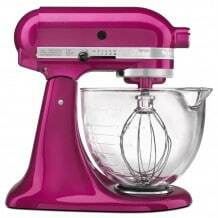 In a large bowl, using an electric or stand mixer combine brown sugar, butter, egg , vanilla extract and buttermilk. Beat for 2 minutes on medium speed. Add dry ingredients to wet ingredients, and mix together until just combined. MUFFIN BATTER WILL BE THICK! Using an ice cream scooper, scoop muffin batter into prepared muffin tins. Sprinkle each muffin with the crumb mixture. Bake at 425F for 5 minutes. Keeping the muffins in the oven, reduce the oven temperature to 350F and continue to bake for 12-15 more minutes or until a toothpick inserted in the center comes out clean. Let muffins cool for 5-10 minutes before enjoying! * Want to make 6 jumbo muffins? Baking time would be 21-25 minutes. *Store in an airtight container at room temperature for up to 5 days. Muffins can be frozen for up to 3 months. *Don't have buttermilk!? No problem, you can make homemade buttermilk with just a few simple ingredients. Click here for my step-by-step guide and recipe on how to make homemade buttermilk! great muffins, looks exactly the same as the ones grandma used to make for me ! Yummy, i like these muffins. the crumb topping looks superb. thanks Jenn for sharing the recipe. 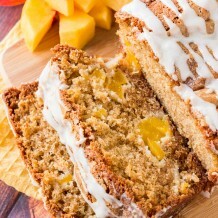 the aroma of cinnamon mixed with the soothing flavor of peach makes this muffin not only my daughter’s favorite, but also a staple for me, lovely recipe, will look forward to more such posts. loved the recipe as well as the tips in the post, keep writing and sharing your thoughts. Swoon! I go absolutely peach crazy during the summer months. 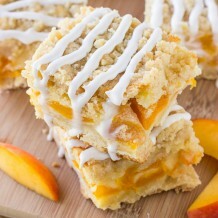 I can’t wait to get my hands on some ripe peaches so I can make this recipe. Can you use canned peaches for this as well? That crumb topping though–oh my goodness, it looks so amazing! I would never have thought peaches worked in muffins until this post. I think it would be an interesting thing to add to my muffins. I love the crumble on top those are my favorite muffin type. 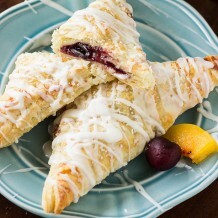 I can not wait to make these.